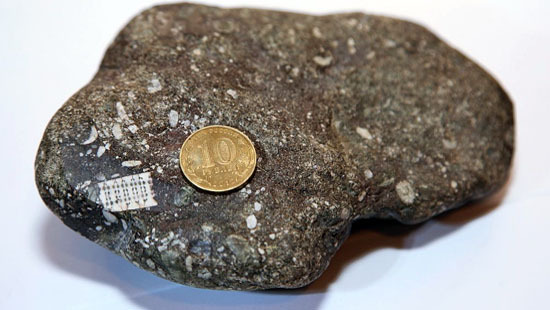 Amazing "artifact" - a stone with a "microchip", whose age is nearly half a billion years old, found in the Krasnodar region. Scientists studying the find, came to the conclusion that on Earth to have more advanced civilization. 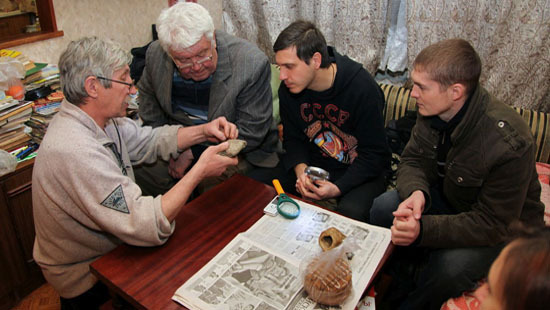 The stone was found last summer in the Krasnodar Territory resident of Labinsk Viktor Morozov Hojo in the river, while fishing. 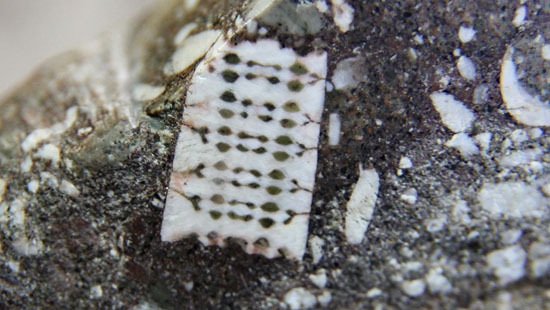 The find has been given to researchers. Verdict announced only a few days ago: under the act geological scientific examination, which was conducted at the Department of Geology and Mineralogy, Novocherkassk Polytechnic in the Rostov region, the age of the stone more than 250 million years, which confirms the theory that while the world was already in existence and life high technology, which we may have yet to discover. Details scientists plan to publicly announce in the near future. Fossilized remains of some ancient plant. Already debunked "news"..